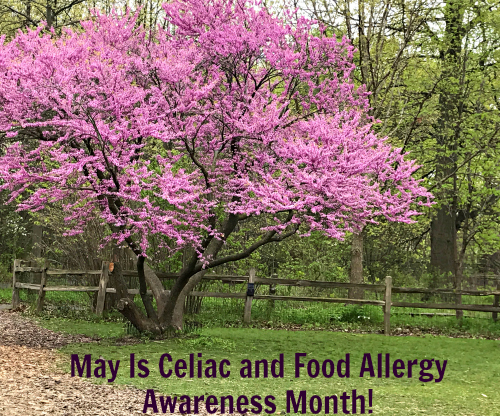 Giveaway to Celebrate Celiac and Food Allergy Awareness Month! When I was a little girl, one of our family friends had celiac. She was diagnosed when she was very young, and we knew that she couldn't eat certain foods, though honestly it was a long time before I knew what gluten is. My awareness of food allergies went from a vague understanding to an immersive crash course when my son was diagnosed with multiple food allergies 13 years ago. Since then, I have learned so much about the challenges that people living with celiac, gluten-intolerance and food allergies live with. More than that, though, I have come to see the resilience and strength of those affected by these conditions and the family and friends who support them and help keep them safe. 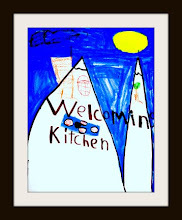 Over the years that I have been writing this blog, I have addressed our experience with food allergies several times. These posts are all collected under the Food Allergies tab at the top of this site. I invite you to look at these posts and share them and add comments, so that we can all be stronger as a community. 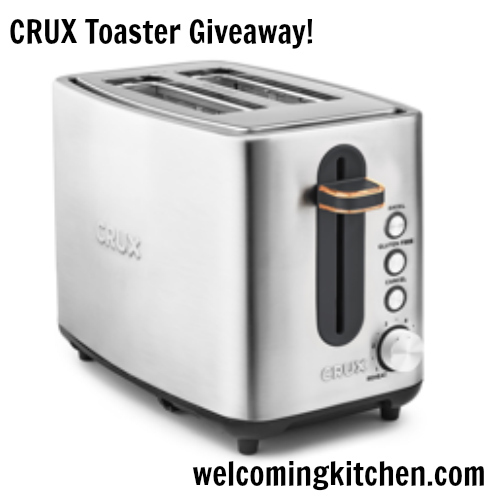 To celebrate the strength of our community, the kind folks at CRUX have offered to give one of our lucky readers a brand-new TWO SLICE TOASTER WITH A GLUTEN-FREE SETTING! This good-looking toaster has a gluten-free setting and has a high lift lever to reach even small goodies. It also has a cancel and a reheat feature. a Rafflecopter giveaway Happy Cooking! I do not have food allergies. But I have cut down on wheat and am eating more gluten free food items and I do feel better! I don't have food allergies but I appreciate that you share your experience and knowledge with people that deal with these serious problems. Thank you! I have a sensitivity to hot foods and some products with wheat in it. I have lower GI issues but have not determined (with and without the aid of physicians) whether or not I have certain food allergies. That share, thank you for the information you share. I have celiac disease and one of my successes is that I am so strict with being gluten free (and​ avoiding cross contamination) that my bone density exam went from a horrible state of osteoporosis to healthy bones just by my gluten free life alone (no medicines)! The doctors at the Mayo (who followed me along with my progress) were amazed! I do not have food allergies but I know people who have a peanut allergy and they are super careful of what they eat. I eat GF due to a sensitivity. I'm a baker and refused to eat the store bought breads, buns and baking. Now I make my own and bake for so many others that are either Celiac or GF sensitive. It's a great feeling to help out others and hear how much better they are feeling to not only eat GF but eating clean. I've recently learned that I develop an allergic reaction when I eat gluten-containing products, so I've had great success replacing my whole-grain needs as an athlete with brown rice products. 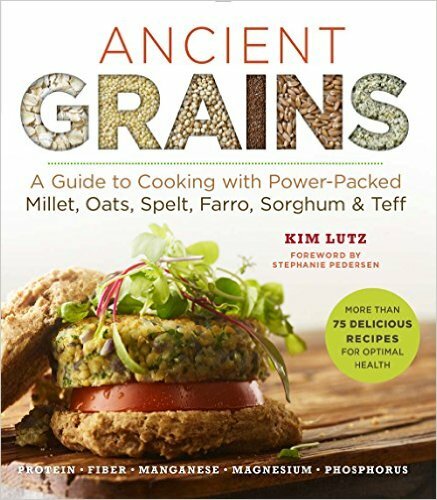 My favourites are: Lundberg Thin Stackers and rice cakes, Arrowhead Mills brown rice puffs and millet puffs! Mmm! Delicious and so healthy! It's easy to eat healthy without gluten when I have my pantry stocked with these products! I look for more variety and like to be able to help those I know who do have allergies. I am wheat and dairy intolerant. My son will be having endoscopy soon to rule out (or confirm) celiac disease. I didn't realize there were toasters like This! I definitely plan to read around your blog more! I have been cutting down on white flours and sugars. I am feeling so much better. Who knew???? I've severely cut my intake of gluten since my twin was diagnosed celiac. I feel much better. 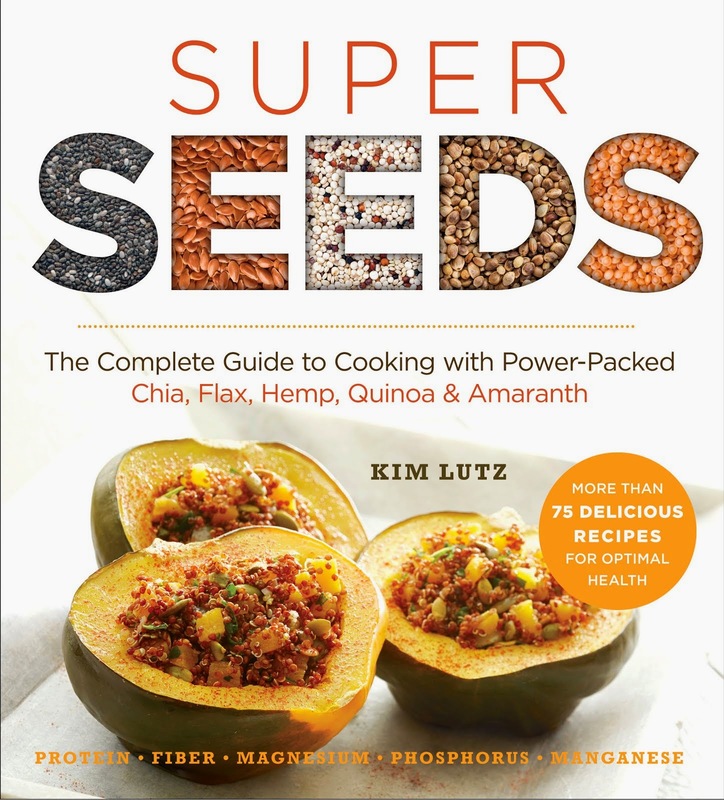 I have had success on eliminating gluten, dairy, and soy from my diet due to allergies. My gut health is much better now. I don't have food allergies or celiac disease. However, my mother has severe IBS and she can hardly eat anything nor can her stomach take any type of IBS medication. She suffers terribly. I don't have any food allergies or Celiac disease. However, I do have a friend that has Celiac disease and she does not eat gluten whatsoever. She still has problems, but it's not so bad that there are more gluten free products on the market. Right now we are trying to figure out if our youngest son has a food allergy. He often gets stomach aches with cramping and diarrhea. It could be nothing and it could be a gluten or dairy issue. MY wife is still trying to find a way to manage IBS. No success story yet. Oh I have had so many both ways over the years. I was diagnosed with celiac disease about 13 years ago now after having my gallbladder removed first. Pain still remained...and then was finally diagnosed correctly with celiac and without my gallbladder. I don't have food allergies but i do have a allergy to dairy products so i can't drink milk or have much dairy otherwise i get heart burn really bad. I do not have any severe allergies but my body does so much better without gluten or dairy or processed sugars! Oddly enough, I've done a lot of "experimenting," and found that a diet without those things helps me feel more energetic, less fatigued and have less migraines! I'm allergic to peanuts and soy. Both allergies emerged well into adulthood. Allergic to peanuts and soy. Both allergies first emerged well into adulthood. I recently found out I am sensitive to products with soy in them. Shell fish have given me reactions before. I have celiac disease and lichen sclerousis. I still suffer every day. I have to go gluten-free due to allergies and stomach issues.